What makes paintball in Prague a memorable experience? How authentic it is. This city’s history has resulted in many abandoned buildings… and those buildings make for a perfect team building paintball experience! There are many fields on the outskirts of Prague that include old warehouses, barns and other housing features to make your next paintball game the best one ever! Paintball team building is ideal for anyone looking for fun, adventure and adrenaline together. Test your quick-reaction skills, plan your strategy and get ready for some excitement! 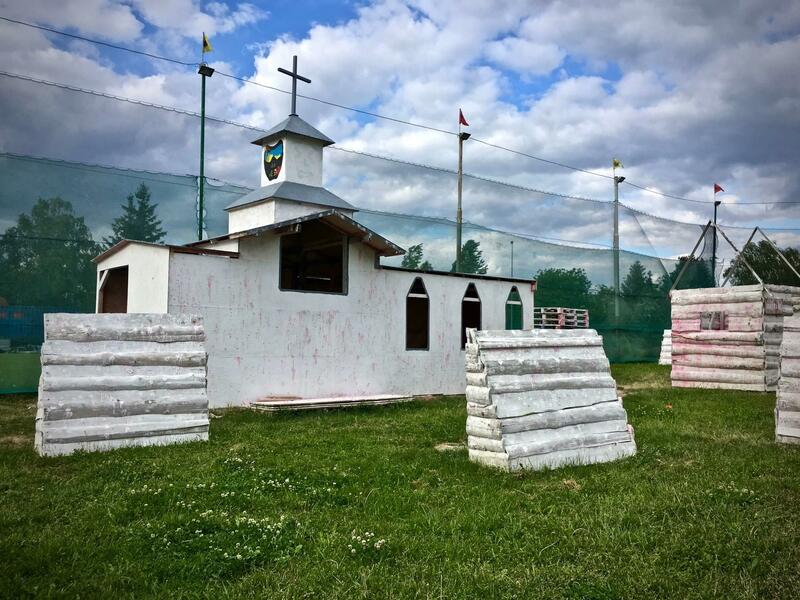 Paintball team building can be played both inside and outside. Of course, we recommend opting for an indoor field in the winter months… but we are happy to organise outdoor fields for more adventurous crowds! Outdoor paintball provides a great combination of wild nature and interesting, natural obstacles to help competitors truly get into the game. 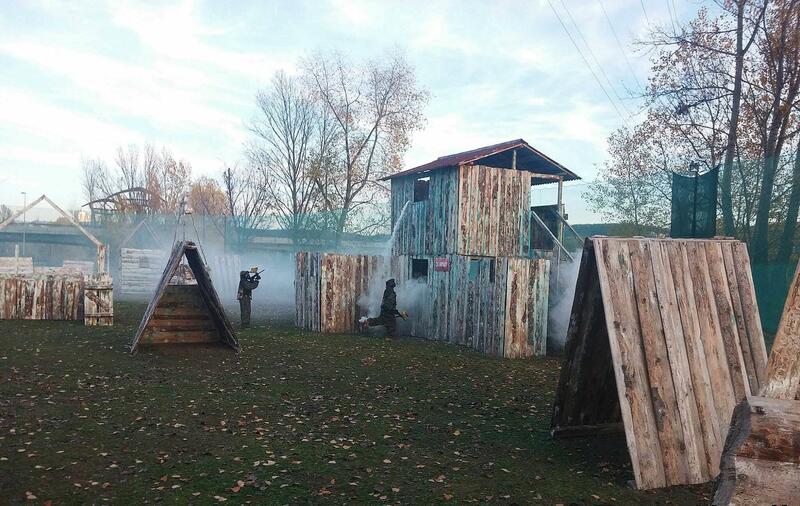 Guests are divided into teams, provided full-body, safe uniforms (including helmets), and provided with gas-powered paintball gun. Defending a fortress against an attacking team. All teams fight against each other. In this case, all bullets that hit you are counted as negative points. Each team is provided with uniforms of the same colour with matching bullets. The team with the fewest hits (a.k.a. the least opposing team’s colour on their uniform!) wins. 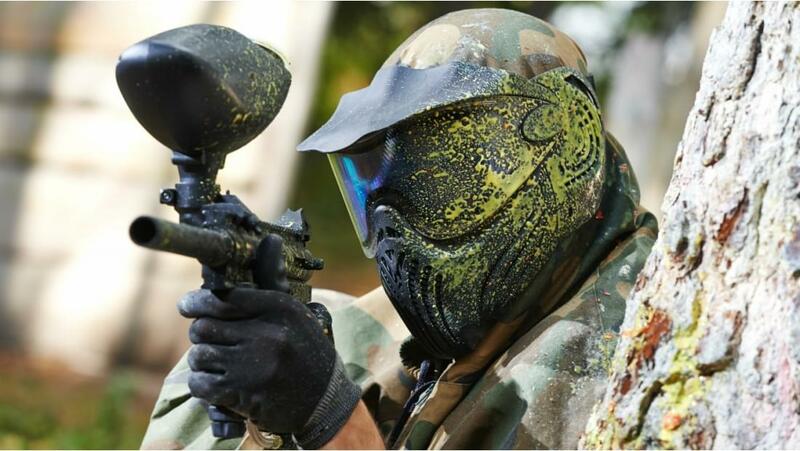 Paint ball is suitable for groups of 8+. Duration is only limited by your physical abilities, but 1.5-3 hours is a good recommended time. 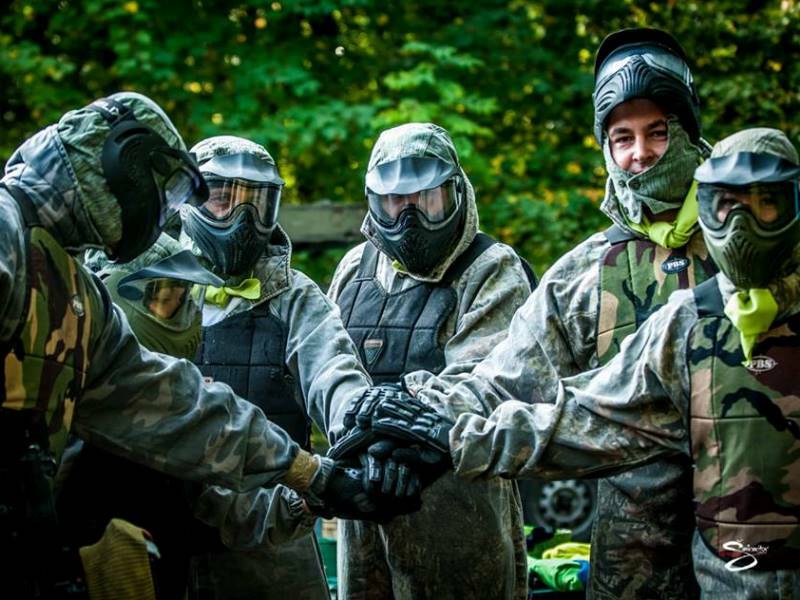 Whether you play paintball in Prague or elsewhere, tons of fun and adventure are guaranteed!